T-Mobile is back as the Official Wireless Sponsor of MLB – and now, Little League International as well! 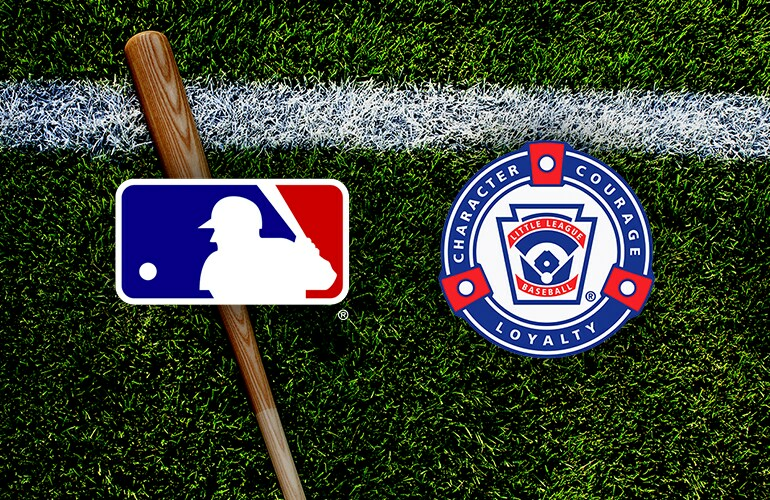 And, for the fourth straight season, the Un-carrier is giving customers a year of FREE MLB.TV on March 26th! T-Mobile now covers 99% of baseball fans! So naturally, the Un-carrier is piling on more customer perks for seasons to come. America’s game on America’s network…that’s an unbeatable combo. Baseball fans, free stuff fans, T-Mobile fans…all the fans. Bellevue, Washington — March 19, 2019 — T-Mobile (NASDAQ: TMUS) and Major League Baseball (MLB) today announced they’ve re-upped their partnership for four more years. To celebrate, the Un-carrier is continuing to go to bat for its customers with unbeatable benefits including a FREE year’s subscription of MLB.TV and the MLB At Bat app’s premium features—a $118.99 value—via T-Mobile Tuesdays. As the Official Wireless Sponsor of MLB, the Un-carrier will continue as the title sponsor of the T-Mobile Home Run Derby during All-Star Week. AND starting this year, T-Mobile is now the Official Wireless Sponsor of Little League International, the largest organized youth sports program in the world! For more information on the MLB.TV offer, MLB At Bat, and T-Mobile’s partnerships with Major League Baseball and Little League, visit www.t-mobile.com/mlb. For more information on T-Mobile Tuesdays, and the offers available on March 26th – including a free taco from Taco Bell and $.10 off each gallon of gas on one fill-up from Shell up to 20 gallons – visit www.t-mobiletuesdays.com.